Facebook Messenger brings new functions with much more versatility Facebook Messenger es ya la app de mensajería instantánea más utilizado en todo el mundo. Facebook Messenger added more than 1.2 billion monthly users, recently announced the company of Mark Suckerberg. Messenger’s growth skyrocketed after Facebook separated it as an independent app in late July 2014 when it barely had 200 million users. Messenger now includes video calls and mobile payments features between individuals and groups; Offers stickers to cheer up a message and games like Bingo or Pac-Man. It also has “M” our virtual assistant who now makes suggestions in our conversations, these may include, for example, stickers to say “thank you”, a reminder to meet a friend, or an easy way to pay someone back or receiving payments via peer-to-peer. Driven by artificial intelligence, M recognizes when we are doing specific tasks and provides useful related suggestions. The messaging app even competes with Snapchat allowing its users to share their days with videos through Messenger Day. Messenger has one of the most advanced bot platforms available in the field of instant messaging. Facebook has enabled a new tab in the Facebook Messenger menu, bots under the name Discover, allowing users to discover new useful bots, without leaving the app; From this tab, it will be possible to check the operation of the bot in question, before choosing whether or not we want to add it to our repertoire. In addition, parametric QR codes will allow people when away from home at events, such as basketball games and concerts, to find more information about a bot for Messenger, simply by exploring the code in the Messenger camera. To make our gaming experience even more fun, we are applying some additional features like game bots and rich gameplay. And now it’s even easier to invite our friends to play by clicking on the Games tab of the Messenger home screen, features that are starting to be published today, initially for some people in the United States. The social network announced that Spotify and Apple Music will soon be integrated into the conversation windows. Facebook sources have reported that this new concept will be called Music on Messenger and is betting strongly on this new implementation. This new function will serve, in addition to sharing with friends, to avoid having to open the corresponding applications, either Spotify or Apple Music, as the songs will play directly from the same Facebook Messenger platform, avoiding all kinds of annoyance; The only thing we will have to do is to use the chat extension of the service that we want to use to later be able to choose the song that we want to listen or share. The new feature will be deployed for both Android and iOS users. In the first instance only Spotify will appear, but soon Apple Music will be present. Western Union has developed a money transfer bot for Facebook Messenger, providing “a simple and seamless experience for those who want to transfer money to almost anywhere in the world, all within the Messenger app itself,” said the payment services company in a statement. Funds can be received in bank accounts or in cash. 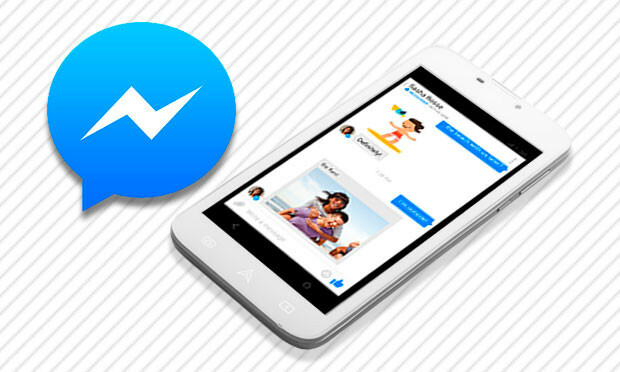 Currently more than 1.2 billion people around the world use Messenger each month. Messenger users in the US will have access to the international money transfer platform, as well as other features such as access to real-time foreign currency exchange rates and automated customer support. For now US Facebook Messenger users will be able to send money to more than 200 countries and territories in 130 currencies. Facebook Messenger has started to include ads. These that have begun to appear, are intended for users of the platform, according to the company, so they can “discover new companies and interesting services.” Luckily, we will not see publicity inside the chats. In addition, Facebook offers the possibility of temporarily disabling the advertising through the menu of the app. But off course, it will appear again after a few minutes.